The current St. Lawrence Fluorspar Project resource exceeds 22,000,000 tonnes of fluorspar. During 2012, CFI undertook a resource evaluation program, which included trenching along the projected strike of the AGS Vein (formerly the Grebes Nest Vein). Horizontal loop HLEM Max-Min geophysical surveys and magnetometer surveys along with mapping and prospecting were carried out over the grid area. Diamond drilling, completed in 2013 identified a significant new fluorite bearing structure hosted in meta-sediments. This discovery has expanded field exploration programs to include areas outside the locations underlain exclusively by granite. The AGS Structure is comprised of three main mineralized zones (Major Veins) dipping steeply to the southwest. The St. Lawrence granite is host to over 40 significant fluorite bearing veins, varying in width from a few centimetres to locally over 30 metres with a strike length ranging up to 3 kilometres. The major host rock is a porphyritic peralkaline granite pluton of Late Devonian age that has intruded Late Precambrian and Cambrian volcanic and sedimentary rocks. The grain size is characteristic of intrusive rocks and exhibits a decrease in grain size toward the contact with the older rocks. The fluorite veins in the granite are associated with the jointing and faulting within the batholith. The thicker fluorite veins exhibit features commonly associated with multiple periods of movement and fluid injection. The veins exhibit features that are characteristic of boudinage type structures with a variation in thickness along strike and with depth. The veins contain higher grade pods or lenses and varying amounts of mineralized granite breccias along one or both sides of the vein structure. 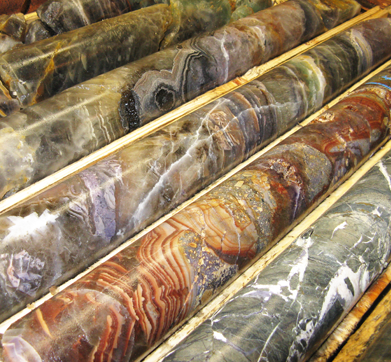 Historically, fluorite mineralization in the St. Lawrence area has been associated with the granite batholith and past exploration has been directed toward areas known to be underlain by granite. The recent diamond drill program, completed during 2013, identified a significant fluorite bearing structure hosted in the meta-sediments. Rhyolite sills and dykes are known to intrude the area containing the mineralized structure in the meta-sediments. first record of fluorspar “mined” in St. Lawrence. Jukes (British Geologist) first recorded fluorspar from St. Lawrence. American entrepreneur Walter Seibert purchased the fluorspar resources from St. John's businessman, processed in Wilmington Delaware. surface mining began at Black Duck Mine, progressed to underground operations. a second fluorspar operator, the American Newfoundland Fluorspar Company was aggressively exploring for fluorspar in the St. Lawrence area at the Director deposit. American Nfld Fluorspar sold to the Aluminum Company of Canada (ALCAN), which formed the Newfoundland Fluorspar Company (Newfluor). Alcan started developing an underground mine at Director. Shipped ore to Arvida, Quebec for processing to acid grade concentrate. 1940s – 1960s: mine expansion, community growth, and largest fluorspar operation in North America. 1940 - 1945: operations expanded during WWII. Two fluorspar producers existed: Newfluor at the Director Mine and St. Lawrence Fluorspar Corporation at the Iron Springs Mine. St. Lawrence Corporation closed operations. ALCAN acquired 100% of fluorspar properties. Alcan closed its mining operations in St. Lawrence and rehabilitated the mine sites. a British-based company, Minworth Limited, reopened the mines on a limited basis, producing from a number small open pit sites in the area and developed underground operations at the Blue Beach North and Blue Beach South deposits. Minworth shutdown and went into receivership. Mine sites rehabilitated by Newfoundland government. 1996 - 2000: BML carried out an extensive exploration program at the Blue Beach North and Tarefare sites, and produced an engineering prefeasibility study. 1998 - 1999: Fluorspar market weakened and investment dollars for exploration and feasibility purposes became difficult to acquire. 2003 – 2006: Glebe Mining, a UK fluorspar mining company became a potential partner with BML. Burin Minerals Limited raised significant funds and completed feasibility work on the Blue Beach North and Tarefare deposits. BML was restructured and became a publicly traded company under a new name, Canada Fluorspar Inc. (CFI). CFI partnered with Arkema to form Newspar. 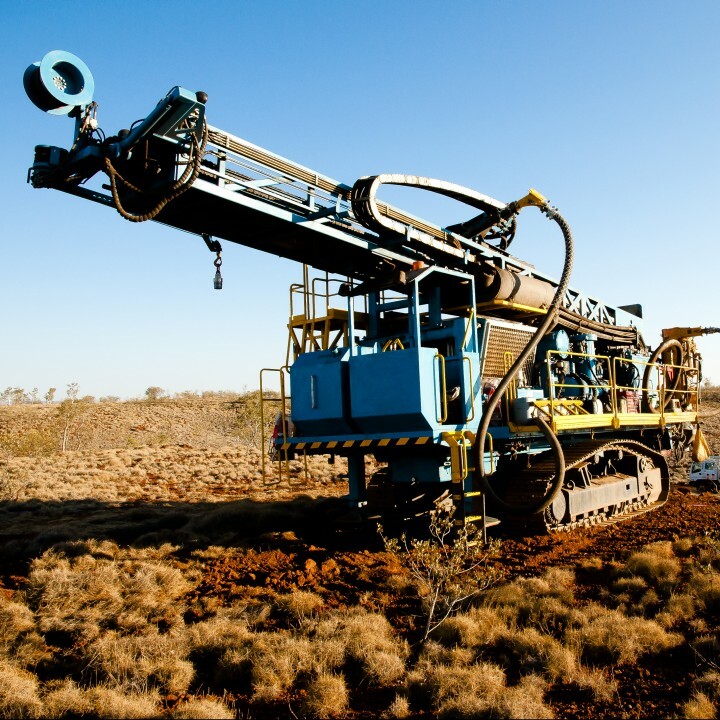 More exploration drilling occurred and mineral resources at the AGS property was increased to over 9 million tonnes with a significant portion of the resources in the Indicated Category. Golden Gate Capital purchased CFI. Pre-Feasibility work was completed on the AGS Project and an Environmental Assessment process commenced. Environmental Assessment approval with conditions received.